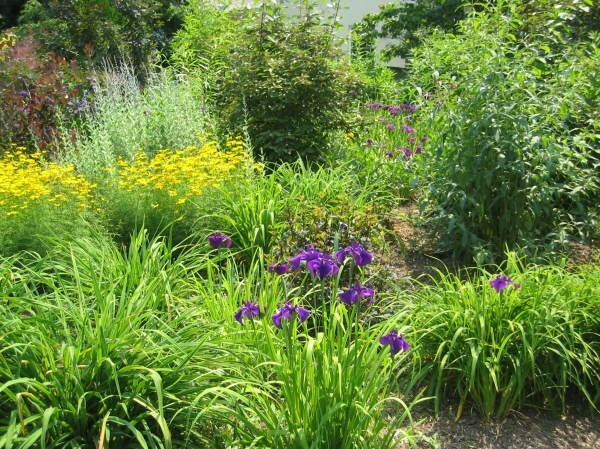 Gardening is the quintessential lesson in patience. We learn that we have no choice but to wait for plants to grow in their own sweet time; no matter how much we try to hurry them along. Nature will never allow herself to be rushed to fit our demand. But cultivating patience isn’t an easy thing for us in the modern world. We don’t like to wait. We have condensed even the most complex practices into bite-size pieces that are quick and easy to digest. We have fashioned a world of instant mastery in which we can learn languages in a few days and grasp ancient practices such as acupressure massage in a weekend workshop. We teach our kids how to play musical instruments in a matter of week, then rush them up onstage to perform and receive the reward of applause. In all of this, there is no inner process of cultivating mastery. Yet, it is in the quiet process–the one that happens in private –that holds personal value and molds our character. Zen practitioners spend whole lifetimes perfecting the art of the tea ceremony, because Eastern philosophy understands that there is always another level. And so do serious gardeners. And writers. 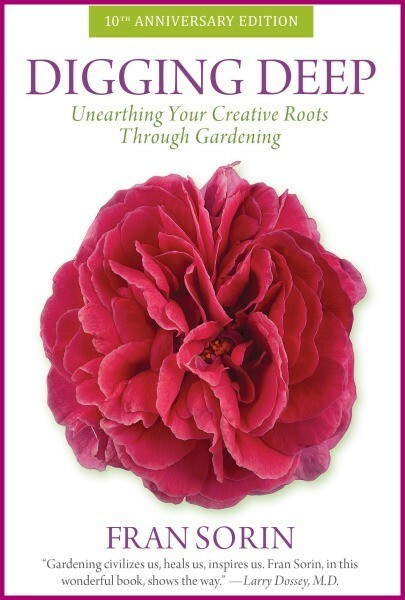 When I decided to celebrate the 10 year Anniversary of my book, Digging Deep: Unearthing Your Creative Roots Through Gardening, I initially thought I would let my publisher, Hachette, handle it and that would be that– easy peasy. But as I went through the process of discussing the project with them, I realized that if my goal was to get Digging Deep read by as many individuals as possible, then I was going to have to take control and do it myself. So I took a leap of faith and had Hachette revert the rights to me. As much as I was scared about leaving a major publishing house, my instincts told me to do it. Underneath the fear, I knew I could handle it. Yet, what I thought would be a rather simple undertaking turned into a much more complex and time consuming process than I ever expected. Sure, I had read enough about independent publishing to know that if you wanted to create a quality book that it was a serious undertaking. In hindsight though, I didn’t know how difficult it was going to prove to be for me. There were several times throughout the process when I was frustrated and thought to myself ‘Why am I bothering?’ There were other times when I wondered why it was taking me so long when the internet is filled with stories of individuals who are able to write and publish a book in 3 days? But when I found myself getting into a ‘self doubting’ mode, I would step back and remember all of the meaningful lessons I’ve learned in the garden that are useful in other areas of my life. 1. Creating anything with heart takes time. Donna Tartt, the writer who came to sudden and explosive fame with her stunning first novel, The Secret History, took an entire decade to complete her second book. In a literary world that demands a book a year for a writer to stay fresh in readers’ minds, this was extraordinarily brave. I read an interview with Ms. Tartt in which she explained that it was not writer’s block that caused her to take so long; she was, in fact, working away on her new novel all the time. This was simply how much time she felt it needed in order to acquire the necessary luster or truth. She went back through it again and again, adding, revising, observing, and sensing, until she felt it was ready to be unveiled to the world. 2. Respect your own creative process. For some lucky folks, their creative process is free- flowing and quick. For others, it’s something else. The truth is–it doesn’t matter how facile, imaginative, or clever someone else is. You possess a creative flow that should be compared to no one else: Honor and embrace it. It took me 7 months to create a cover design that I’m absolutely in love with. And what makes it all the sweeter is that the magnificent rose you see on the cover, Madame Isaac Pereire, is the work of my colleague and friend, Saxon Holt, who is a co-contributor to my group gardening blog, Gardening Gone Wild. He is a renowned garden and landscape photographer. You can see more of his magnificent work at Photobotanic. 3. Trust the process and yourself. A creative journey is a spiritual one. There are times where you feel lost in the woods and don’t think you’ll find you’re way home. Envision yourself as a jazz player. Like a jazz player who improvises, you may not always know where you’re going but ultimately you end where you started. Have faith! 4. Practice patience. If you need to rush to judgment and get things done quickly, you’re going to lose out on all of the juicy stuff that needs time to marinate. Patience is one of the greatest traits to possess in life. For most of us, it doesn’t come easy. It takes practice, practice, and more practice. 5. Persist. When you’re ready to throw in the towel, take a break; come back the next day with fresh eyes. Remind yourself of your motivation for doing what you’re doing. And sometimes, even when you don’t come up with a good reason, toughen up and just do the work. For anyone who is interested in receiving a free copy of Digging Deep and writing an Amazon and/or blog review, let me know by writing me on my FB account or at fran.sorin@gmail.com. Also, check out my Author Page on Amazon to learn about what motivated me to write Digging Deep. (and please press the ‘like’ widget on right hand upper corner)! Thanks for telling it like it is, Fran! Too often we get the impression that everyone reaches stardom in an instant in this internet world. I’m so excited you’ve released the 10th anniversary edition of your book. May it reach many, many people. Congratulations Fran! I can feel the fragrance of that lovely rose! Wishing you greater success! Despite all the frustrations and disappointments, we do get such moments of sheer joy. Savor every bit of it! Many congrats Fran…I love the new cover. At the end of the day we are nature too, so it’s no surprise really that we should take a tip or two from all we see and apply it to how we live life. How much easier we’d make it for ourselves. Elle- Thanks so much. Yes, it is amazing how folks still think of themselves as separate from nature when we in fact, we are nature! Congrats on the book, Fran. The cover is beautiful and I love the whole idea. 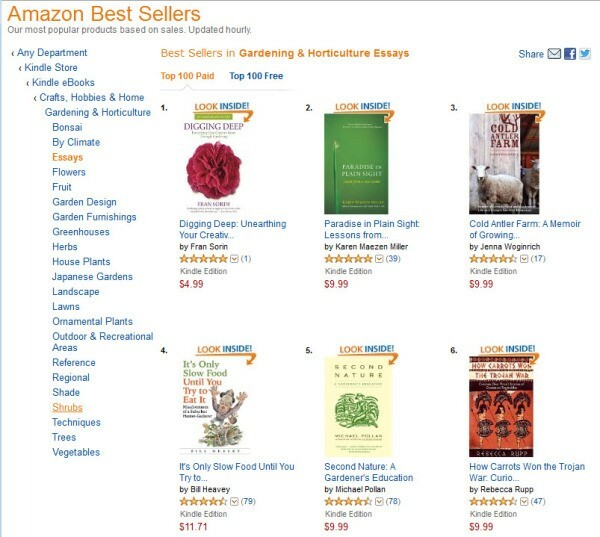 It is a book about gardening and so much more!! Take care.